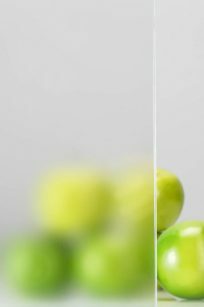 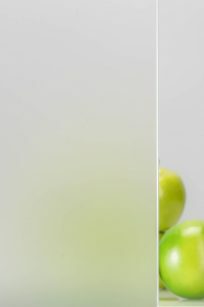 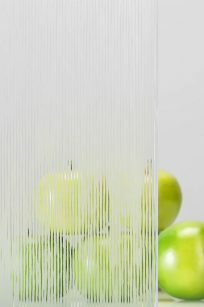 Satin etched glass is ideal for a wide range of interior applications, including walls and office partitions, dividers, table tops, doors and door insets, staircases and railings, shower enclosures, and even floors. The GGI Satin line of etched glass products offers a wide choice of patterns that add privacy to interior spaces while still allowing for excellent light transmission. 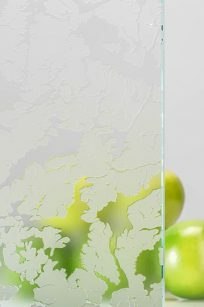 All this with the convenience and elegance of a smooth glass surface that is easy to clean. 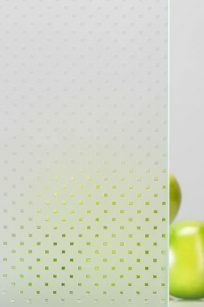 The satin etch process results in a permanent, scratch resistant decorative pattern that is also fingerprint-resistant. 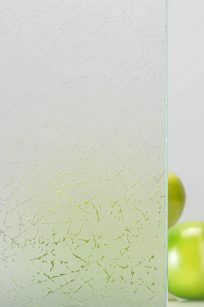 Our etched glass patterns are available as full-coverage flood or as discrete designs that decorate a specific part of the glass. Patterns can be applied to a single side of the glass or to both sides. 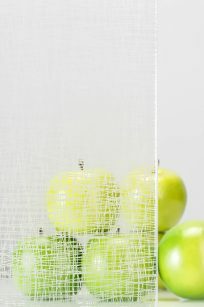 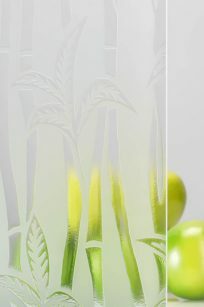 The interplay of the double-sided satin etched pattern and the thickness of the glass creates a sense of depth.